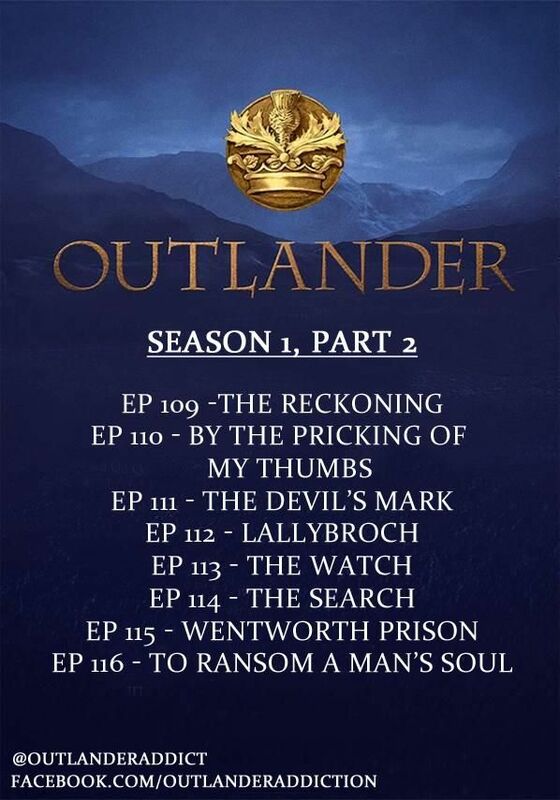 Episode titles for the second half of OUTLANDER Season 1 are listed on the STARZ website here. Thanks to @OutlanderAddict on Twitter for the heads-up! EP110: "By the Pricking of My Thumbs"
EP116: "To Ransom a Man's Soul"
If you've read OUTLANDER or CROSS STITCH, it seems clear they're following the structure of the book pretty closely. I can't wait!